Open panel or just a suit? I know bollywood movies use to be so cheesy and all that but I can't deny that i'm looking forward to this one. Wow, this movie looks awesome! I'm assuming they'll make a subtitled version, but I do look forward to seeing this. That the Filipino God of Cinematic Fembot Props have blessed this movie. 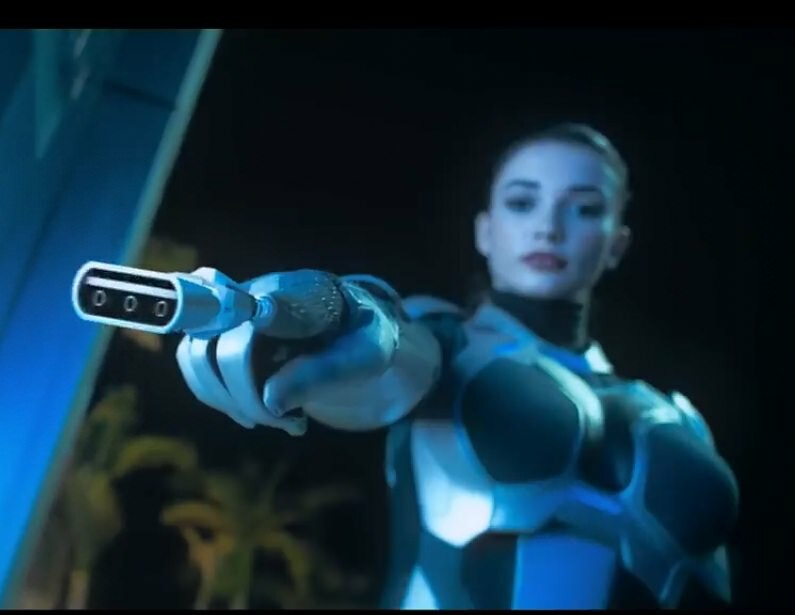 Amy Jackson is absolutely stunning in the trailer. Wouldn't mind an image of myself looking like that!